Free Shipping on Powertech Props for Evinrude Johnson Outboard Motors. PowerTech! Stainless Propeller fits 40-140hp Evinrude/Johnson, ETEC & Model 400, Cobra Sterndrives. OSN3 Evinrude Johnson E-Tec 3-blade propeller, 14” diameter propeller available in 1” pitch increments from 15” to 21”. 3-blade with right hand rotation, blade design is a swept blade with a narrow tip. This is the factory equivalent for newer OMC SST-style propeller. 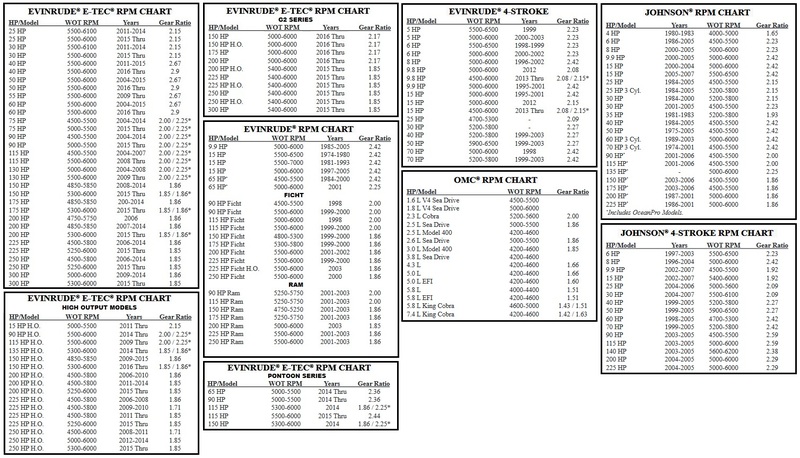 Please use the RPM Guide to help determine the correct maximum revs for your engine. The right size propeller should load your motor between the correct wide open throttle RPM listed for your horsepower. Please use our online submitting propeller worksheet to determine the correct Powertech Propeller for your boat. We have been supplying boat propellers worldwide for over 30 years, and chances are with our expert technical support team you will most defiantly have a pleasurable experience. Still have questions selecting the right Powertech Propeller? Just contact us (Phone/Email) and take advantage of our award winning technical support team – With over 15,000 applications serviced (except for the factory) no other retailer has more experience with all Powertech propeller designs than we do. If you are not satisfied with your purchase, we will use your performance data to determine the correct replacement propeller through our 30-day pitch exchange program. Within the first 30 days of ownership, we will exchange your propeller of equal value and different pitch for a nominal fee. The propeller must be in like new condition, with no dings, nicks or scratches. To make a claim please contact us for a Return Authorization (R.A.) and shipping instructions. The R.A. must be indicated along with your address on the mailing label and the shipping carton should include your daytime phone number and the original purchase receipt. Returns do not cover any expense of downtime, haul outs, propeller removal or install, or shipping charges. All returns/exchanges valid for 30 days.